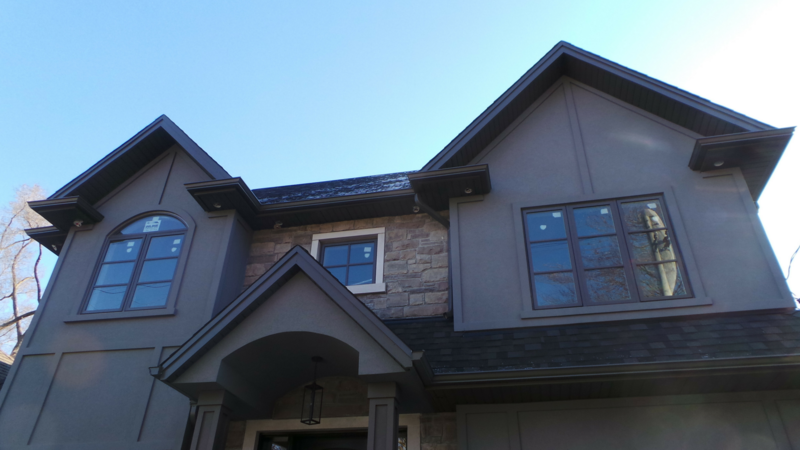 Home - Lakefront Exteriors Inc.
Family-owned business specializing in eavestrough, leafguard, soffit and siding installation. Interested in what we do? Here’s a look at our services. Danny and his team were outstanding. From start to finish was he honest and delivered exactly as promised. We contacted him and he came that same day within a few hours to show samples products. We initially wanted a sort of beige colour but as he explained the different materials and the design aspect we decided to do the slate finish. We get a lot of compliments from neighbours and friends it gives it a modern look and our bungalow is perfect!! 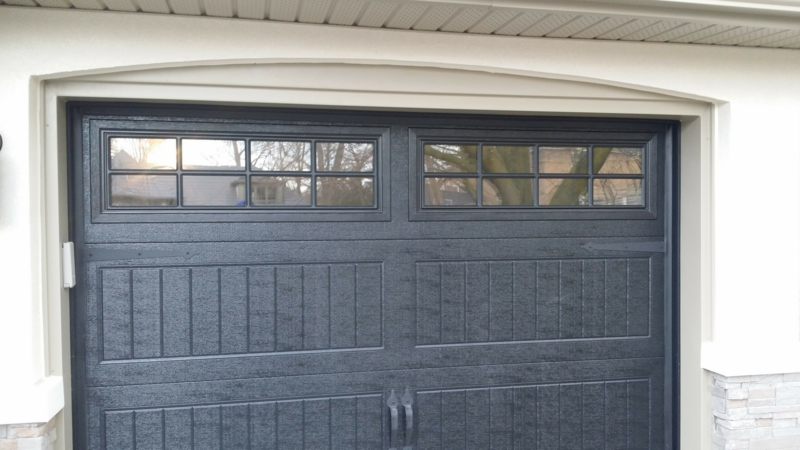 The installation went flawless and they finished the exterior aluminum within 2 days. We are just thrilled. Highly recommended. Reasonably priced. Thank you Lakefront Exteriors!!! One of my garage soffits drains right into the middle of me back yard. The previous contractor drained the downspout directly into my garden. This was a problem because, on a rainy day it would flood the yard to the point water enter the garage. Lucky the guys at Lakefront exteriors came up with a brilliant solution. They raped a downspout so precisely around the back of the building it looks like art. Every one said it could not be done! They are true craftsman! Thank you for saving my yard! 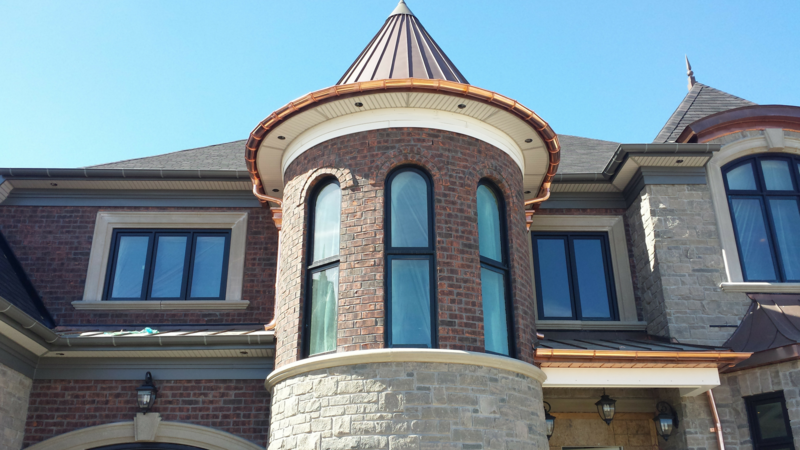 Lakefront Exteriors is an industry leader and premier construction company in the GTA. Our timeliness, attention to detail and service-minded attitudes are unparalleled. We enable our employees to thrive by ensuring an honest, helpful, and above all safe working environment. We provide the highest quality service that meets your budget and exceeds your expectations. We strive to maintain the highest level of professionalism, integrity, honesty and fairness. We are committed to building long and fruitful relationships with all of our clients. To request a quote or discuss your project feel free to call or email us. We can’t wait to hear from you soon!